It’s that time of the year again. The football season has commenced and once again I am left feeling like a football widow. I’m not completely adverse to football, I enjoy the odd game here and there but I have a confession to make – when it comes to the ins and outs of the beautiful game I am a football virgin. I don’t really understand what all the fuss is about, to me it’s just a game. I’ve never taken to the stands to watch a match, let alone embarked on a tour of a football stadium. For me, football shirts come a poor second to floral dresses and sparkly tops. I don’t understand the offside rule and am left to just nod and smile every time Ryan, my football fanatic boyfriend, tries to explain. So when I was given the chance to visit Football Club Barcelona’s Camp Nou, the largest football stadium in Europe, I decided it was time to see what all the fuss was about. So I packed my bags and boarded my flight to Barcelona ready to embark on the Camp Nou tour. As we entered the gates we were greeted by the smiling faces of hundreds of fans who had flocked to the Les Corts area of Barcelona to experience the Camp Nou tour. The stadium was filled with red and blue shirts donning the names of some of Barcelona FC’s most famous players – Messi, Xavi and Iniesta were everywhere to be seen. Anticipation filled the air and excited chatter could be heard as we wandered around the ground, one of Barcelona’s most popular attractions. With over 160,000 members, FC Barcelona is one of the largest football associations in the world. And it was obvious that many people had been waiting a long time to embark on the Camp Nou tour. For some it was even fulfilling a childhood dream and I was proud that I had been given the chance to experience this iconic tour too. Our first stop on the Camp Nou tour was the FC Barcelona museum. 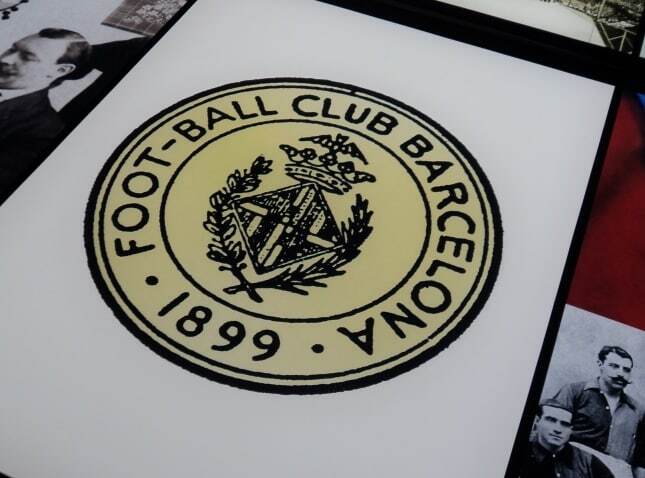 Here we learned of the long history of FC Barcelona which dates back to 1899 and traced the footsteps of some the biggest names in football. 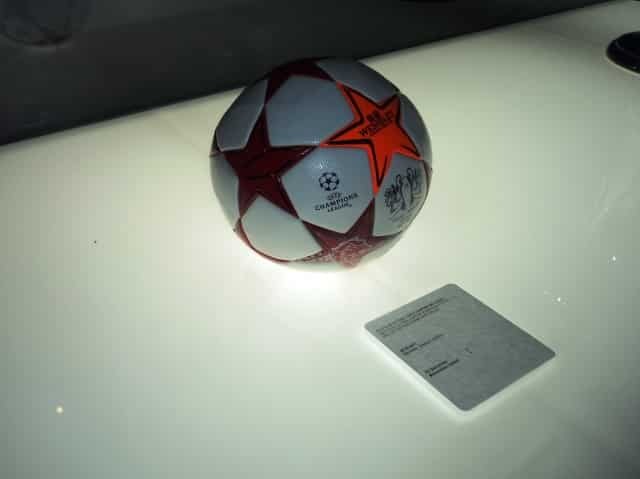 Interactive screens filled the room displaying Barcelona’s most famous goals and biggest matches. 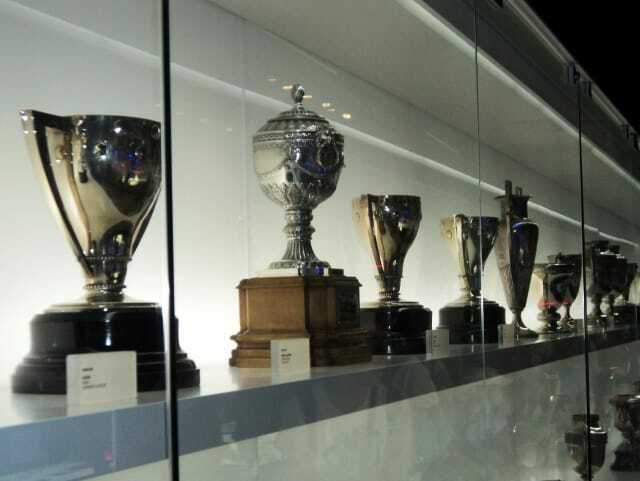 The stadium has been open since 1957 and the Camp Nou tour took us past the shirts of the club’s most illustrious players and hundreds of trophies. And buoyed by the history and passion around me, even I found myself feeling a little bit giddy as we fought through the crowds to catch a glimpse of Messi’s golden boots. Football fever was beginning to take hold. I even attempted to crack a joke: “That’s a bit harsh calling him that, surely he can’t be that untidy,” I said, much to the dismay of Ryan. 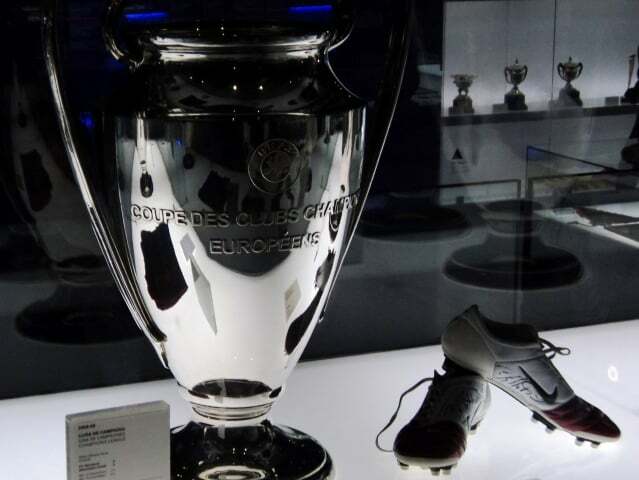 Next we wandered around the changing rooms and found ourselves inside the conference room, we even had several photos of us lifting the Champions League trophy. The more we explored the more I could feel myself becoming a football convert. After visiting the chapel, the TV room and the press box I began itching to get out onto the pitch. Finally the moment arrived, we entered the famous tunnel where some of the football world’s biggest names had stood before us. As we walked through the tunnel, I could see the green pitch in the distance and was completely blown away by the sheer size of stadium as we looked up at the 99,786 seats surrounding us. ‘MES QUE UN CLUB’, or More Than A Club, the historic slogan of FC Barcelona takes pride of place in the centre of the stadium. The more I saw on the Camp Nou tour, the more I was learning that this slogan is true, FC Barcelona is so much more than a club. MES QUE UN CLUB, describes its social importance and the joy that football brings to the lives of its supporters. 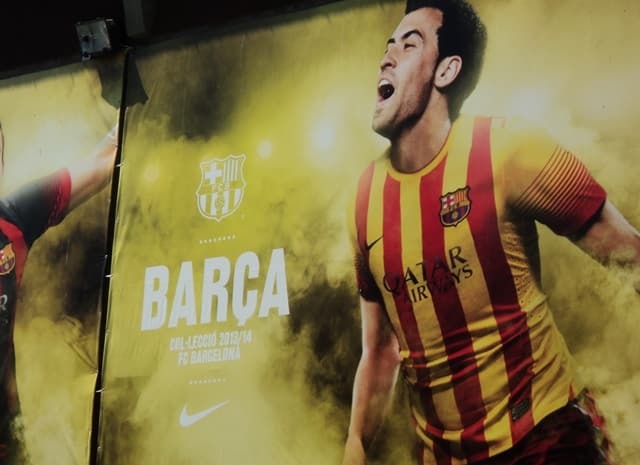 Thousands of fans from all over the globe had visited the Camp Nou to unite and celebrate the successes of football rather than to succumb to team rivalry. 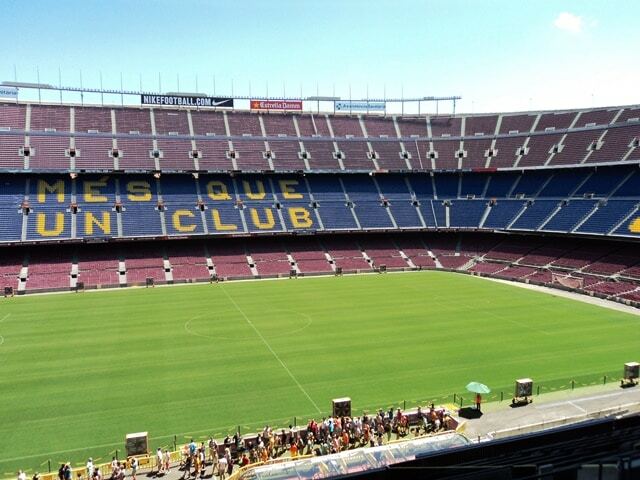 I am so glad that I got to visit Barcelona’s Camp Nou, its impact on me was huge. The Camp Nou tour not only highlighted the importance of this club, but also that football is more than just a game. I can see that arguments over the TV remote control are going to be a thing of the past, so much so that I’ve even booked tickets for my first football game to see Tottenham vs Espanyol this weekend. 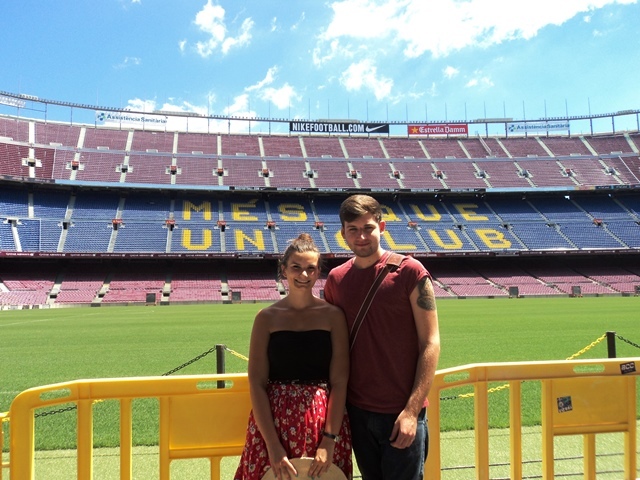 I attended the Camp Nou tour with the help of the lovely people at Get Your Guide, but only FC Barcelona and I are responsible for my new-found appreciation of football! 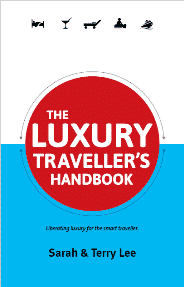 LiveShareTravel's writer Lisa is passionate about travel and nothing excites her more than exploring new countries. She loves reading, warm summer days and eating Marmite (which she always packs in her suitcase). Lisa is currently making plans to travel the world. My OH dragged me to Nou Camp a few years back, not to tour it, but to actually watch a game. I had to grudgingly admit it WAS pretty cool (don’t tell him I said that though…).